Holidays are a great time to spend with family, and laughing with relatives is one of the best parts of the season. Whether you’re barely giggling or totally cracking up, laughter can have positive effects on your oral and overall health. 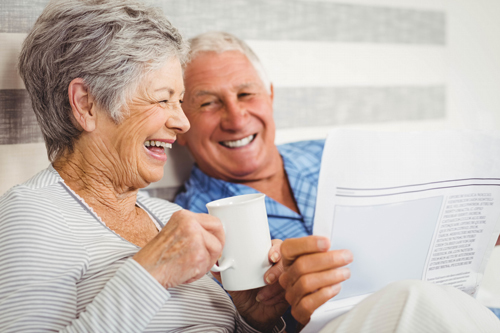 Read on to learn what a good laugh can do for you. Act as a mild workout. Surprisingly, laughing can mimic exercise by burning calories and increasing your heart rate. In a study conducted by Vanderbilt University, participants burned 50 calories after just 10 to 15 minutes of laughter.7 Plus, laughter releases endorphins and stimulates multiple parts of the body, including the heart, lungs and muscles.8 Sharing a snicker at the family table just might help you burn off some of those extra calories from dessert. By releasing endorphins, laughter can increase pain tolerance. Some research even suggests that patients who laugh a significant amount need less pain medication following surgery.9 If you’re experiencing a toothache, try watching a comedy to pass the time and ease your pain before your dental appointment. Get your giggle on this holiday season and you just might see some healthy rewards.